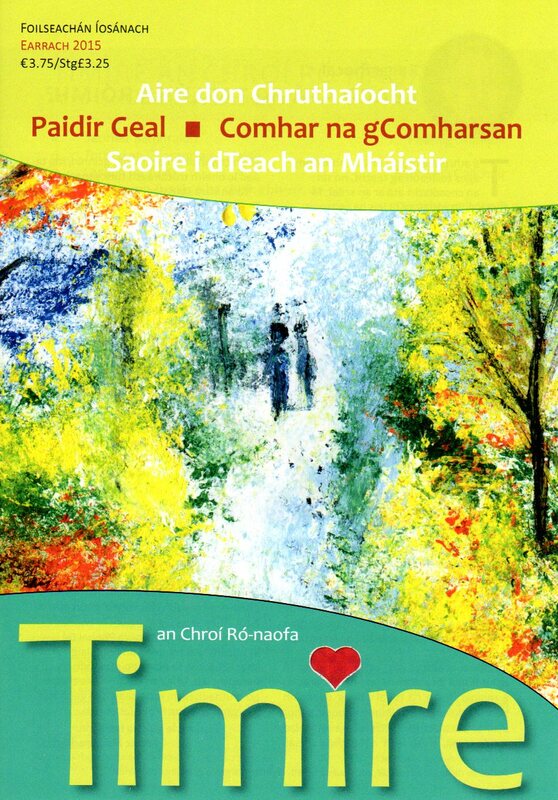 Timire an Chroí Ró-Naofa or an Timire as it is better known is the oldest Irish Language magazine in the world, in print since 1911 and now available on the web. It comes out 4 times per year, Spring Summer, Autumn and Winter. The anchor articles offer reflections on the intentions of Pope Francis for the coming 3 months. Each issue contains a variety of other articles in social, cultural and spirituality areas that would be of interest to our Catholic Christian readers. Cad a bheir na bráithre ag marcaíocht? Dar mo choinsias, ag coisíocht! Big changes are taking place. Pope Francis is telling us that leadership means service and if those in charge are to serve God’s people they must be in personal contact with those on the ground and walk some of the way with them / us in so far as they are able. That is the only way to understand the predicaments of ordinary people.